Established by the family and friends of Ana Susko following her passing, the Fund is intended to support qualified students from the Jim Thorpe High School in Carbon County. The Anastasia Susko Memorial Scholarship is a one-year, non-renewable $1500 scholarship awarded annually to any qualified graduating female high school senior (or home-schooled student who has a state-recognized graduation certificate/diploma) residing in Jim Thorpe, PA, who is seeking to further her education at the collegiate level. The scholarship will be based on merit alone, so submitting the FAFSA is not necessary. Students can pick up an application in the school guidance office. 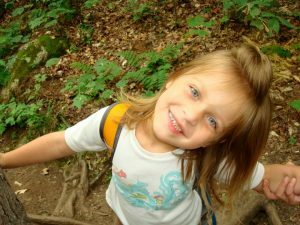 Anastasia Susko (Ana) was a beautiful, confident, feisty little girl who lived fearlessly and compassionately. At age 7, she was diagnosed with a rare form of cancer, a brainstem tumor called DIPG that took her life at age 8 in 2014. She lived and loved hard and will always be remembered by her family and the community that supported her in her battle.